Har Mishpacha wants to ensure each life cycle event for our members is a memorable one. We also want to provide a foundation of support in the extended family we seek to provide Jewish families in our congregation. 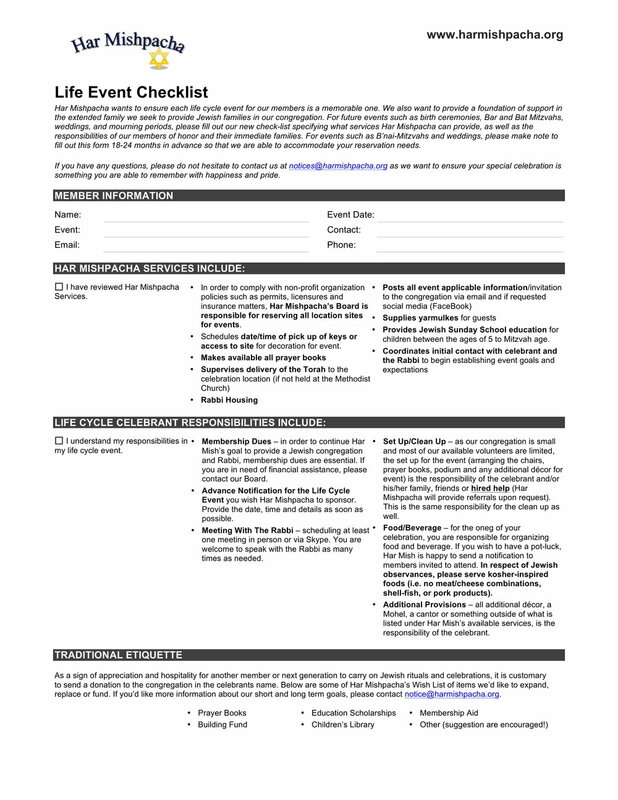 For future events such as birth ceremonies, Bar and Bat Mitzvahs, weddings, and mourning periods, please fill out our new check-list specifying what services Har Mishpacha can provide, as well as the responsibilities of our members of honor and their immediate families. For events such as B’nai-Mitzvahs and weddings, please make note to fill out this form 18-24 months in advance so that we are able to accommodate your reservation needs.